The objective of this business guide is to provide guidance on types of finance available, to outline the planning required before approaching any lending institution and other important considerations and tools regarding raising finance for your business which Taxco can assist you with. Every business from its commencement and through its development and growth will need finance, but what type of finance is best suited to the development of your business, and who should you approach for funding? Finance is very often necessary, but consider what it will entail. Additional funding requires a commitment in terms of capital and interest payments. Embarking on this course of action must therefore be planned carefully. Before seeking outside finance, a business must consider whether it could improve its working capital from within. Particular attention should be given to stock and debtors to ensure that both are kept to a minimum. Consider how long it takes to invoice customers and collect debts and look at ways to reduce this time. If there are periods of time when surpluses of cash arise, review your affairs to try and ensure these are being used to generate income by investing on temporary short term deposit. As agents of Investec Private Bank and Nedbank Corporate Saver, Taxco can offer you wholesale money market rates on day or deposit with these institutions. Email us now for a free quote and indication of what the market currently offers on day, month or longer term deposits. Assuming external funding is necessary, planning is essential in achieving success. A well drawn up business plan not only crystallises in your own mind the nature of the project and the timing of any required funding, but is vital to any lending institution. They are unlikely to provide any assistance without a properly drawn up business plan. Refer to our Business Plan Business Guide. Finance is available in many forms, but it is important to make sure that it is right for your business. Onerous terms and inflexibility can often hinder a growing business. The more obvious sources of finance include bank overdrafts and medium to long term loans and mortgages, but rates of interest can vary considerably. Therefore we advise you to consult with us before making your final decision. 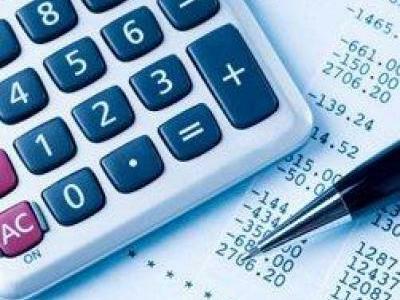 Specific methods of finance are available for acquiring assets or releasing cash from debtors. Government assistance can be in the form of grants, loan guarantees or an enterprise capital funds. Other grants may be available on a regional or local level. Whatever form of finance is offered, the lender will always require some form of security. However the level of security sought may vary - beware of the lender asking for unreasonable guarantees. For some businesses little security may be available because of insufficient assets. Consequently the security will be given in the form of personal guarantees. Take extreme care before signing these guarantees as they can be difficult to amend at a later stage and many have suffered as a consequence. In particular, personal guarantees are best if they are limited by time or amount. Unlimited guarantees are the most dangerous. It may be possible to use other assets as collateral such as life insurance policies or by taking a second "mortgage over your home. Whatever the means of security pledged, it should be carefully considered and advice sought. Accordingly whilst some generalisations apply, individual circumstances require specific consideration. Time invested in formulating a funding strategy, whilst not guaranteeing success, will provide a structure to guide the growing business. Our experience and contacts can enable you to achieve the means to help your business grow.